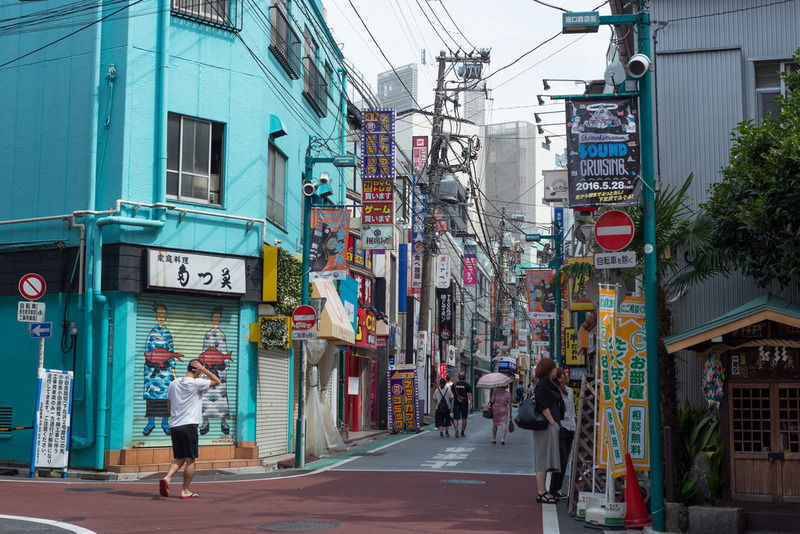 Three of Tokyo's Hipster Neighborhoods - and what to do there! 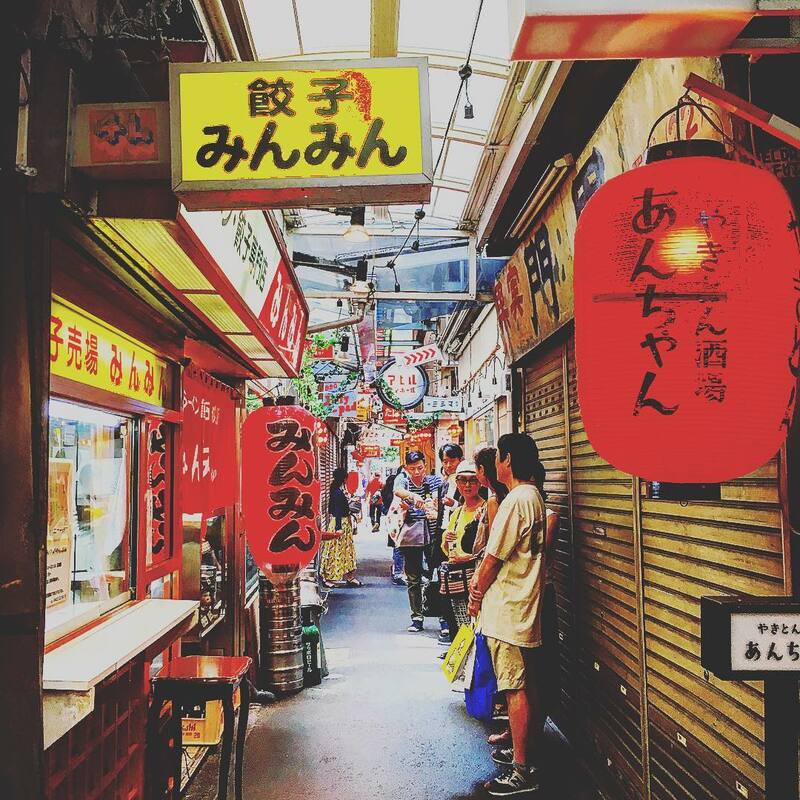 In a global city like Tokyo, there are a lot of well-worn tourist hotspots that travelers flock to. More and more though, visitors to Japan also want to know about the interesting underground places across the bustling metropolis. 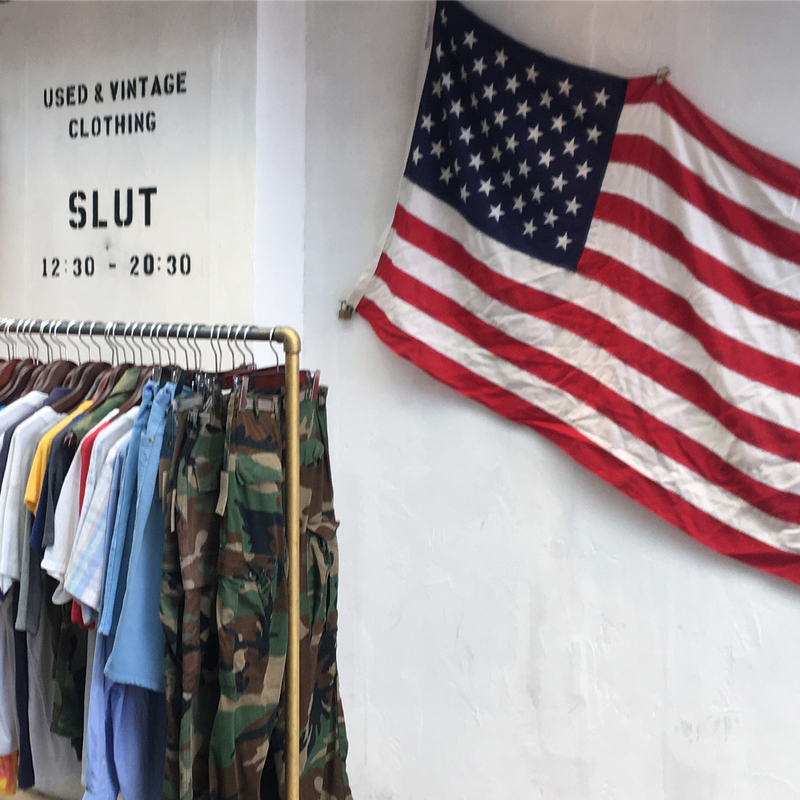 Hipster neighborhoods with the best little coffee shops, the quirkiest vintage clothing stores, and fun spots to check out live music are increasingly seen as destinations in themselves. Here are three of Tokyo's best - as well as some recommendations for things to check out in each place! From Tokyo Station, Shimokitazawa is approximately 30 minutes away - you'll have to switch trains to get there. Head out on the JR Chuo Line, getting off at Shinjuku - then hop onto the Odakyu Line until you get to Shimokitazawa! 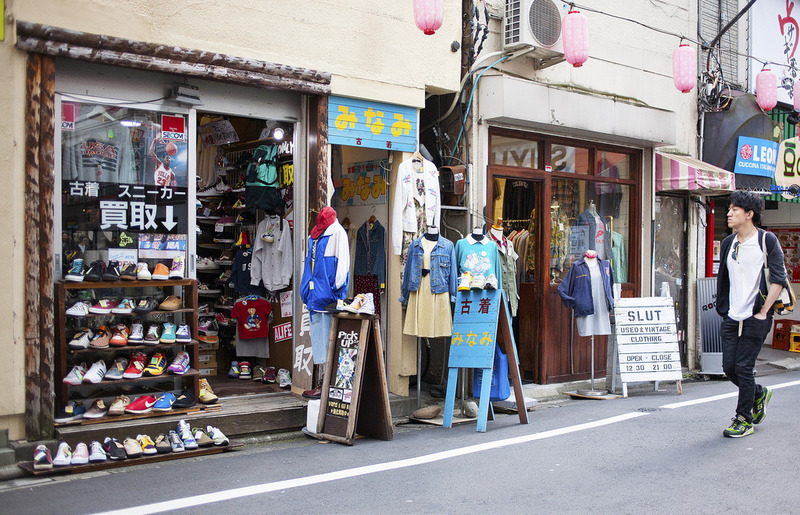 Shimokitazawa is known for a few things - a fantastic second hand/thrifting/vintage clothing environment, fun game centers, and arthouse/indie films being shown. Tollywood is one of the theaters where you can catch a flick that you might not be able to see elsewhere - their schedule is on their website but it is in Japanese. 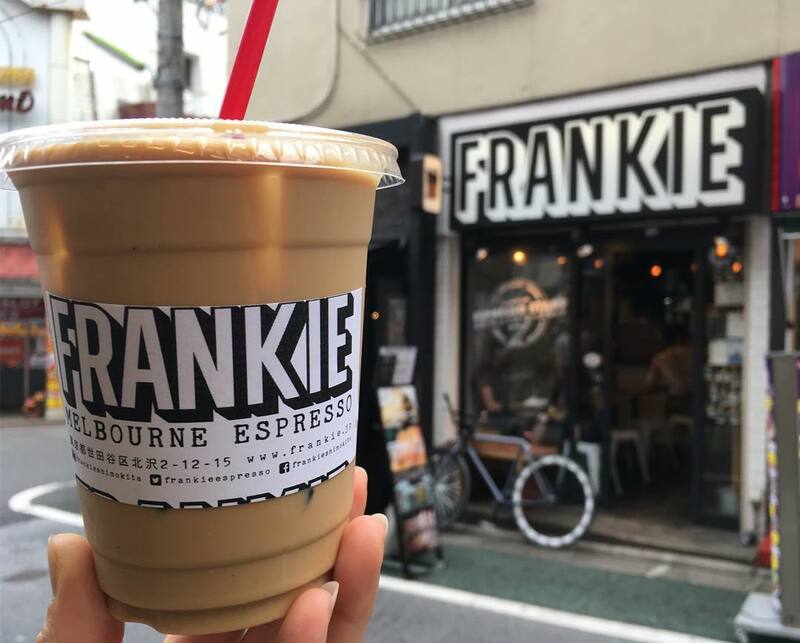 For coffee, head to Frankie Melbourne Espresso. If any of you have been to Melbourne in Australia, you know that they're serious about their coffee. This coffee shop is modeled after what you'd find there, and it is good. While you're there, try an Aussie sweet treat like a lamington or a lemon slice - yes, this is Tokyo, and you might be after something more Japanese inspired - but trust me on this, they're super tasty. Their street address for Google Maps is 〒155-0031 Tokyo, Setagaya, Kitazawa, 2 Chome−7−12, ナチュール下北沢. For sweets, head to On the Way Coffee and Cupcakes. You can get an extra caffeine fix here if you need to (which you might, with all the exploring you'll be doing) but they have the most adorable and tasty cupcakes here - and their store front is a cute little hole in the wall establishment. Worth a visit! You can find them at 〒155-0031 Tokyo, Setagaya, 北沢2-16-2. For eats, try Palazzo. The exterior alone is hipster enough to warrant a few snaps, but the food here is tasty and varied too. It's a handy spot for a bite to eat because it's super close to the station, and also because their menu has an option for a tasting dish - where you can get pasta, hamburger steak and Japanese style curry all on the one plate. Perfect if you're an indecisive orderer, or you just want a little bit of everything! You can find Palazzo at 2 Chome-10-10 Kitazawa, Setagaya, Tokyo 155-0031. 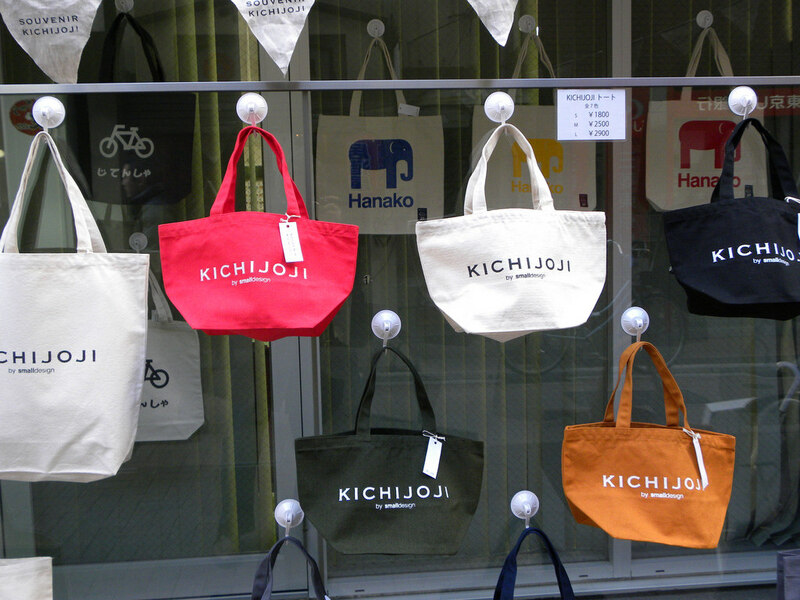 Kichijoji has a few notable spots that are worth a visit if you're in the area. Harmonica Yokocho is made up of multiple alleyways, across from Kichijoji Station - there are fun places throughout the alleys to grab a bite to eat or have a bevvy or two. Inokashira Park is one of Tokyo's best green spaces, and a very popular spot when the cherry blossoms are blooming . You can even ride on a swan boat on the lake and enjoy the picturesque views if that takes your fancy. 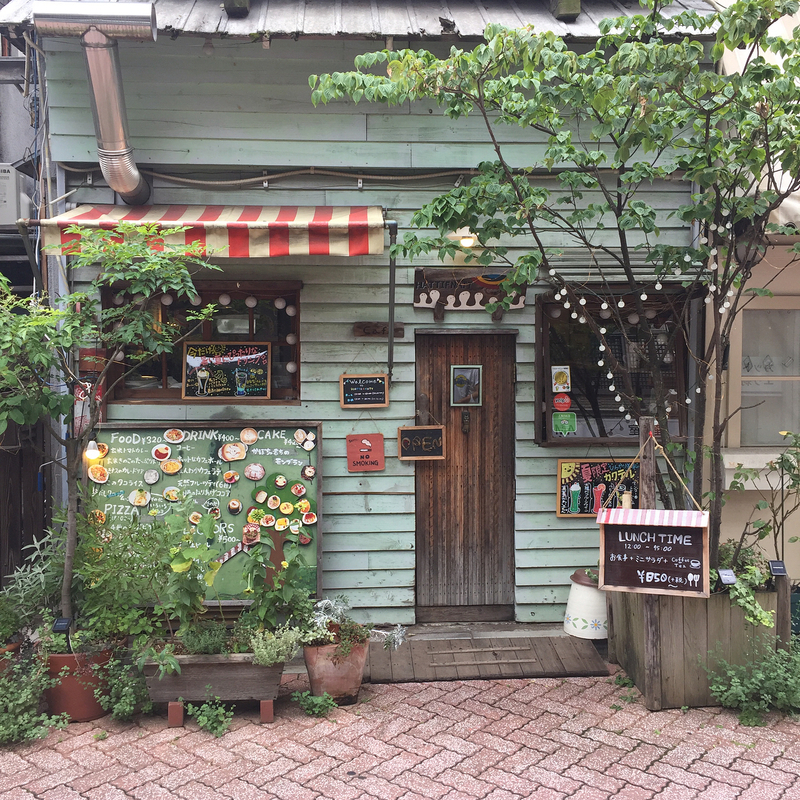 The Ghibli Museum is another well-loved spot in walking distance from Kichijoji (it's technically in the suburb of Mitaka, but it's close by). Heading to the museum requires tickets in advance, but it's a perfect way to spend some time if you're a lover of the films. For your caffeine fix, head to Blackwell Coffee. Their store decor is designed with tributes to the vintage and the modern, and their coffee is excellent - they have a wide range of options and always use freshly roasted beans. Best of all, their service is super friendly, despite being in one of the trendiest neighborhoods of Tokyo. You can find them at 3 Chome-3-10 Kichijoji Honcho, Musashino, Tokyo 180-0004. For sweets, try Kotori Cafe. 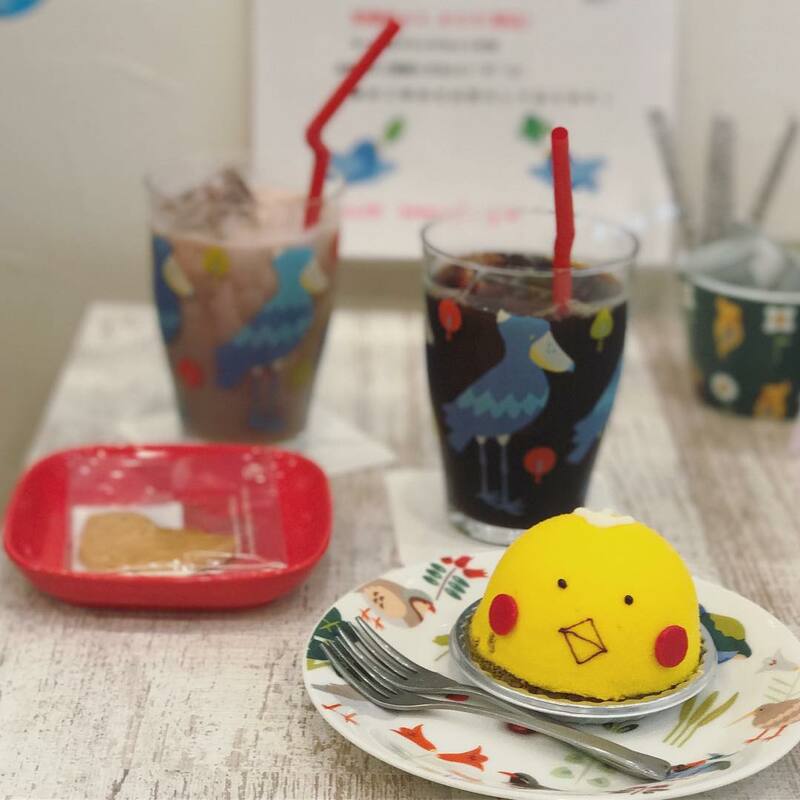 It's a perfect spot if you're heading to Inokashira Park or the Ghibli Museum (or both!) and not only for the fact that you can hang out with finches and parakeets while you dine. They have main meals, and even manage to make curries look photogenic - but their desserts are out of this world adorable. When they bring your dessert to the table they actually have a decorative cage over the top (which they remove once they've shown you it!) but it's one of those super cute touches. You can find them at 〒181-0013 Tokyo, Mitaka, Shimorenjaku, 1 Chome−14−7, ビューノ三鷹の森. For eats, visit Cafe Zenon! 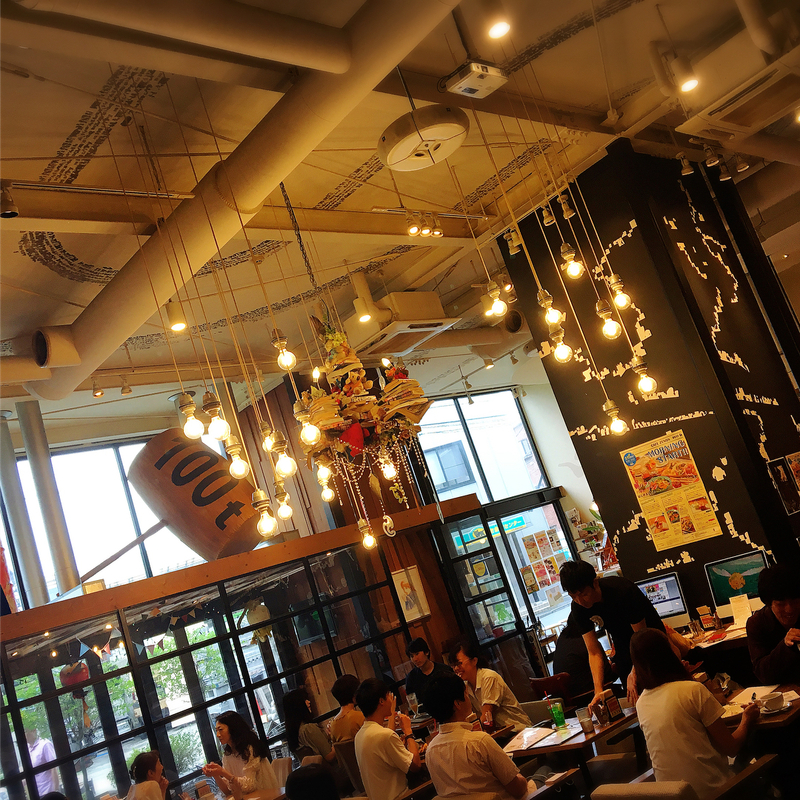 As well as being a fun place to visit for manga and art, the food and coffee are excellent. Their latte art is on point, and their menu options include pastas, rice dishes and curries amongst many others. They even have a kids menu - possibly the coolest place I've ever been that has one. You can find them at 〒180-0003 Tokyo, Musashino, 吉祥寺南町２−１１−３. Koenji is also a straight shot from Tokyo Station on the JR Chuo Line. It'll take you 20 minutes to get there, and set you back 310 yen. Vintage clothes shopping is another big one here in Koenji - there are loads of stores to choose from to snag those unique, one-off wardrobe pieces. Koenji also has an awesome live music scene, with venues scattered across the suburb. 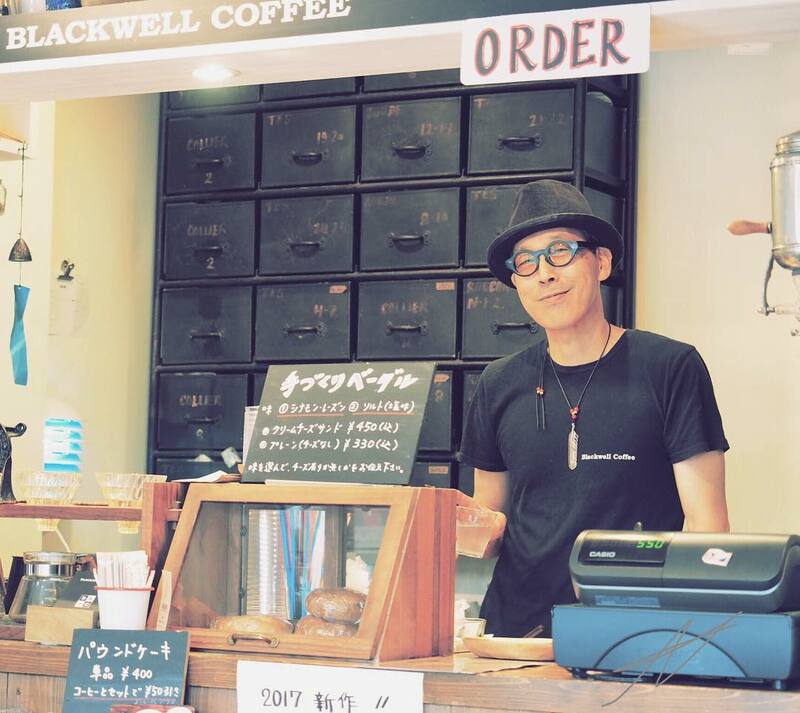 For coffee, head to Coffee Cone Tokyo. 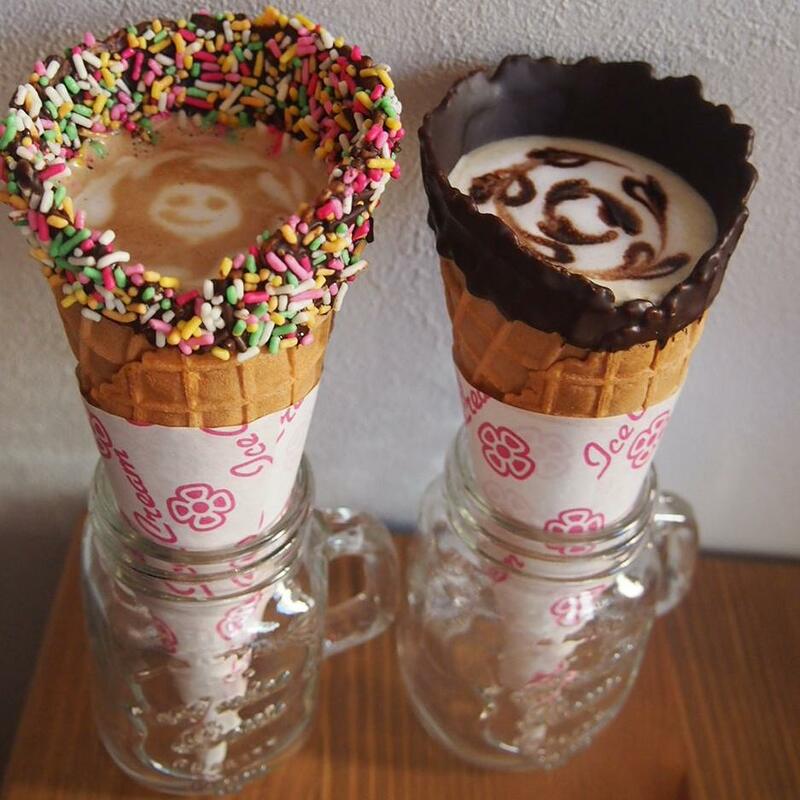 Here, you can get your latte served up in an ice cream cone - they put a little mug underneath it to avoid any drips, but drinking it within about 10 to 15 minutes is advisable! You can find Coffee Cone at 3 Chome-20-15 Koenjiminami, Suginami, Tokyo 166-0003. 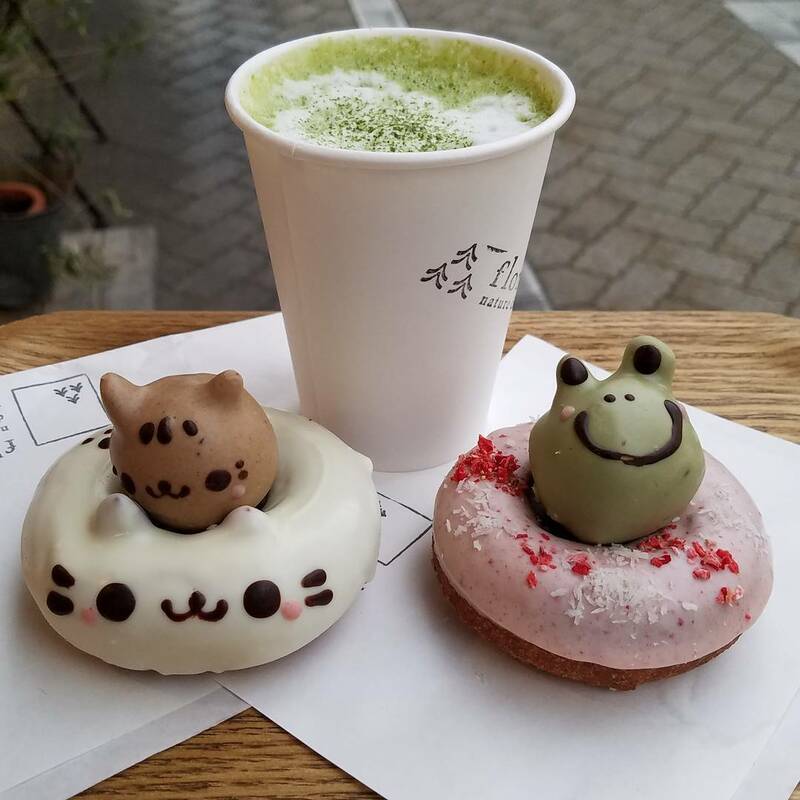 For sweets, try Floresta Nature Donuts. They use organic ingredients, and almonds are cleverly used to shape the ears on many of their adorable animal creations. You'd be hard pressed to find better looking donuts anywhere on the planet. 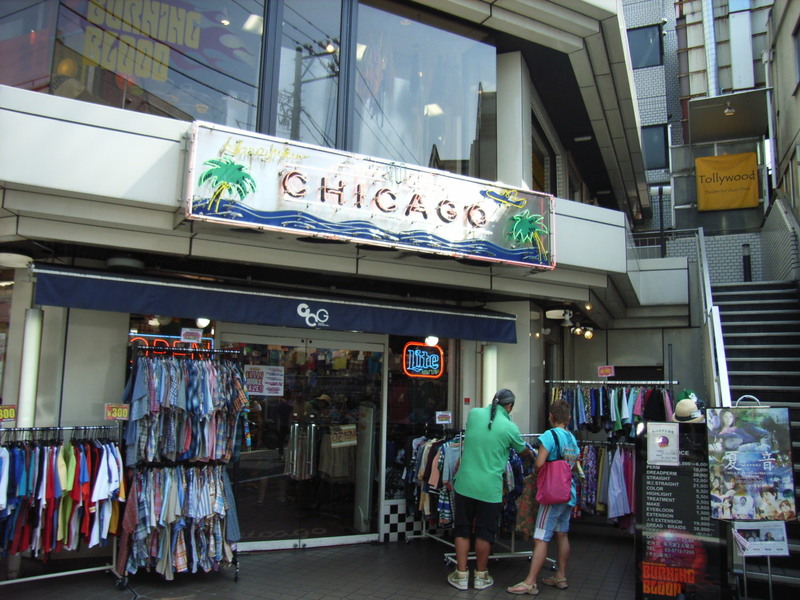 They are located at 3 Chome-34-14 Koenjikita, Suginami, Tokyo 166-0002. For eats, head to Hattifnatt Cafe. The exterior of the cafe is eye catching as it is, but the inside will make you feel as if you've stepped into a magical woodland treehouse. Their menu options include loads of cake choices, pastas, baked doria dishes, curry, and Okinawan style taco rice. You can find the cafe at 〒166-0002 Tokyo, Suginami, 高円寺北２丁目１８－１０. 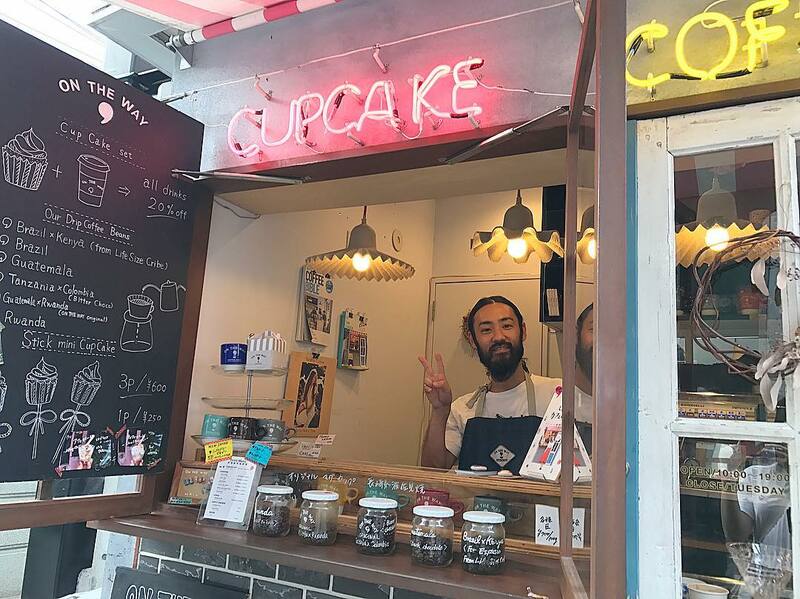 Hopefully this gives you an idea of some things to see, eat and drink while you're checking out these cool neighborhoods - they're absolutely worth a visit during your time in Tokyo! Enjoy Tokyo, and Happy Exploring!